Light hearted moment during the prep meeting. Officially Mr & Mrs. Tan. The couple loves funny poses. One of my favorite photos from the evening! The pretty & handsome band members playing us some romantic tunes. Mum & Dad having a laugh with their guests. The couple’s 2nd march in, with Thea in bright red! The chinese tradition of “yum seng”! Your MCs for the night, Cheryl & Rockey. Recognize anyone in the photo? Groom's buddy & best man. It was a beautiful day and we had Bernard & Rynnie in the house for their pre-wedding photoshoot. We started make-up at 10am and make-up was complete around 12noon. Thanks to Eva International for the beautiful make-up & hair styling. And Rynnie’s make-up & hair is done! Love the look very much! Gina, our make-up artist for the day! Once make-up is done, we proceeded to have our studio style pre-wedding photoshoot indoors. Rynnie had her beautiful & grand long trail white gown on, which looks totally stunning on her. Our gowns were rented from Impegno Wedding. Rynnie, looking stunningly beautiful in this long trail pre-wedding white gown by Impegno Wedding. And here are the 2 lovebirds together! And we just had to put Rynnie in front of a pure white background to accentuate her beautiful gown! After the traditional pristine & pure bride look, how about some striking red? Here we have Rynnie & Bernard both in red! Bernard looking suave & handsome in red! It was roughly 3:00pm when we completed our studio pre-wedding shoot and we were out on our way to Desaru for our 2nd half photoshoot. It was actually raining pretty heavily during our drive there, which had us really worried. But luckily for us, when we reached Desaru, it was clear skies. We had a little furry companion stick to us when we arrived at our shooting spot in Desaru. Bernard & Rynnie having a leisurely stroll on the beaches of Desaru. Loving the chemistry between Bernard & Rynnie! One of my favorite photos from the photoshoot. The beautiful rocky beaches of Desaru, Johor. Our final photoshoot destination was to the mesmerizing lalang fields south of Desaru. We were running a bit late, and the light was dwindling fast. But lucky for us, we still managed to capture some lovely shots before the sun set. And that wraps up our little pre-wedding adventure with Bernard & Rynnie in Desaru! Thanks for viewing! And hope you all like the photos! Follow us on Facebook and Instagram to see our latest work! When it comes to weddings, it is always a pretty daunting task as to what you need to do to make this once in a lifetime event a beautiful & memorable one. Especially since for most of us, getting married is nearly always the first & only time we experience it. But for most cases, there are no straight forward answers. It usually comes down to each individual's preferences, how much budget you have, and what exactly is more important to you (or both of you). Just to be clear, this post is not a step by step guide to planning your wedding, but instead, is a simple list of things that I believe are essential for your wedding. So these are just professional opinions from someone who has been in the wedding industry for quite a number of years, therefore, you are entitled to disagree with the list, but still, I hope this list will help out someone who is planning for their big day. Beautiful weather in Japan, in front of the majestic Fuji Mountain. 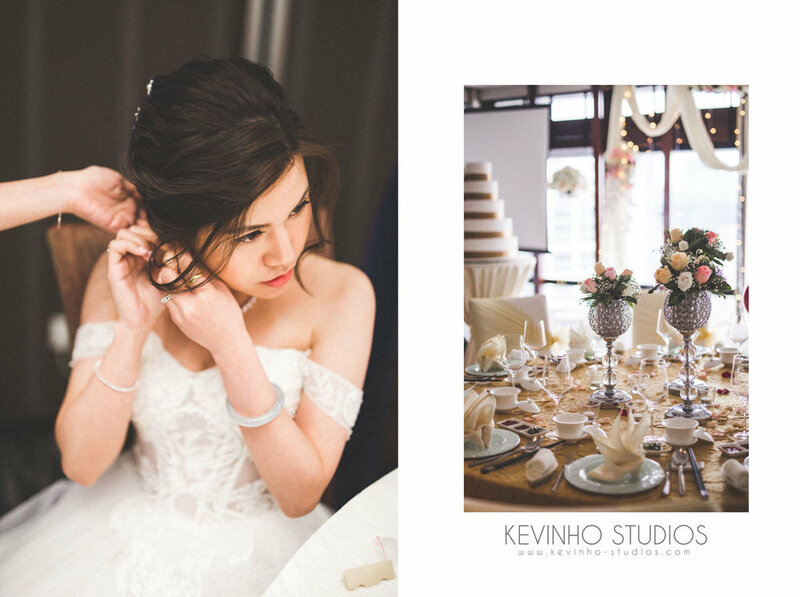 Photo credits: Kevin Ho Studios. If you are like me, and you love to travel, having your pre-wedding taken overseas is nothing short of a dream come true. Picking that beautiful dream location you wish to go to and bringing back some of the most beautiful photos of the both of you, it is nothing short of an awesome experience & memory. However depending on location, the costs may vary by alot. You will have to take into consideration flight & accommodation costs for your photographer and make-up artist for most cases, if you hired them from home. And for most cases, they would cost you anywhere between S$2,000 to S$20,000. You could also hire someone local to the place you are visiting and have them do the photoshoot for your, but you would have to be mindful that once you get back home, it becomes really hard for you to deal with the photographer or bridal house there. I have had friends & clients who basically got conned into signing up for local packages and then regretting it as the bridal house gave them sub-par works and it became really hard to deal with them as they are thousands of miles away. But don't forget that you can have your pre-wedding taken locally too. 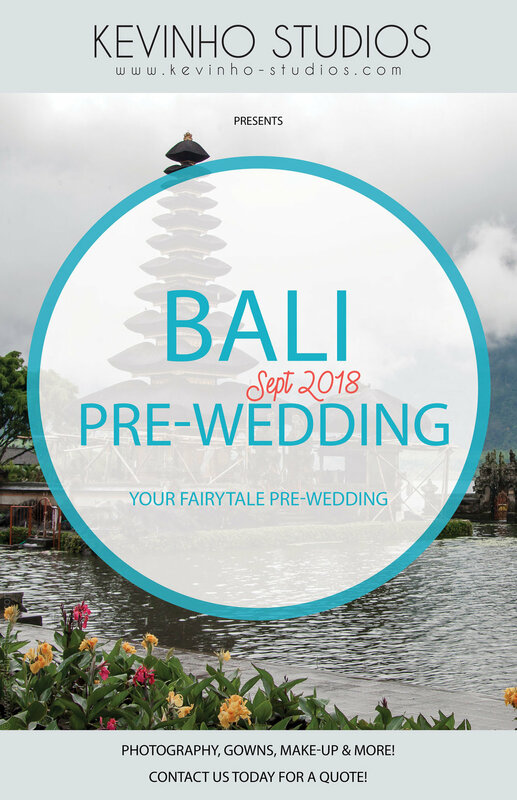 While a lot of people nowadays love to go overseas for pre-weddings, local pre-weddings are still always the most close to heart & the most affordable. The most important advice here is to find the photographer whose work you really love and then weighing your budget against the quality of his / her work. When should you take your pre-wedding, you may ask? 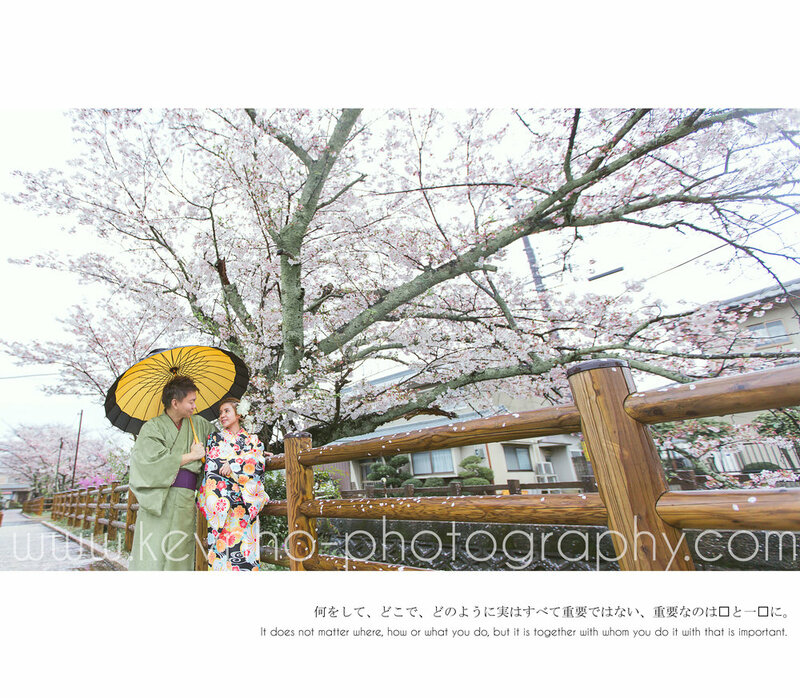 It typically takes 3-6 months for photographers or bridal houses to complete a pre-wedding shoot. Factor in time for discussions, trying of gowns, gown alterations, the photoshoot itself, selection time, editing & post processing time, changes, printing and final collection, you will understand why it takes 3-6 months. ROM on the rooftops of Pan Pacific Hotel, Singapore. 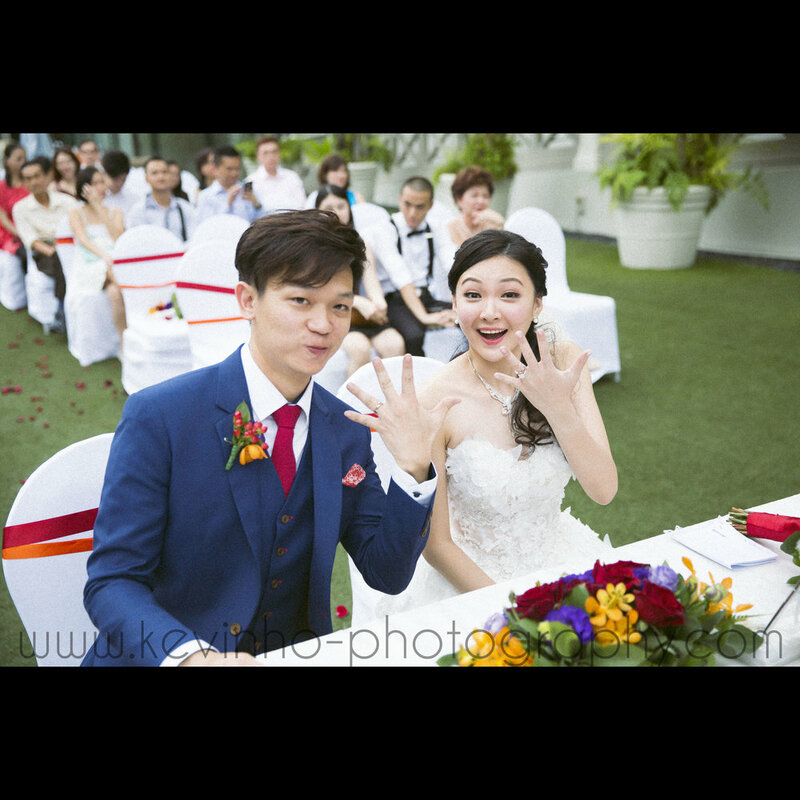 Photo credits: Kevin Ho Studios. Wedding by: The Louvre Bridal. 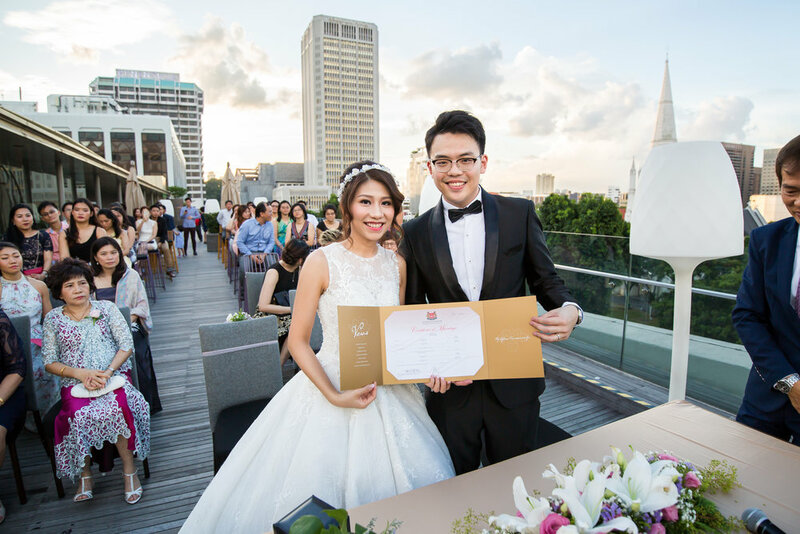 Over the years, I have myself seen an influx of couples opting to simply complete their wedding during their ROM / Solemnization. Skipping the entire traditional event of gate crashing & having a huge banquet of 30-50 tables. Choosing instead to have a small celebration while putting more focus on having a great ROM location to commemorate the signing & exchange of vows (Beach or Garden style ROMs, anyone?). It also makes it less stressful to plan and makes the event a more intimate experience, as you are surrounded by only the closest of family & friends. Another choice for some, is to keep this event even smaller, and just have the papers signed at the Registry of Marriage (ROM) with only you, your spouse and your witnesses. This is usually the go to choice for couples who plan to have the full actual wedding day event or celebration. The bride, surrounded by her bridemaids on her actual day. 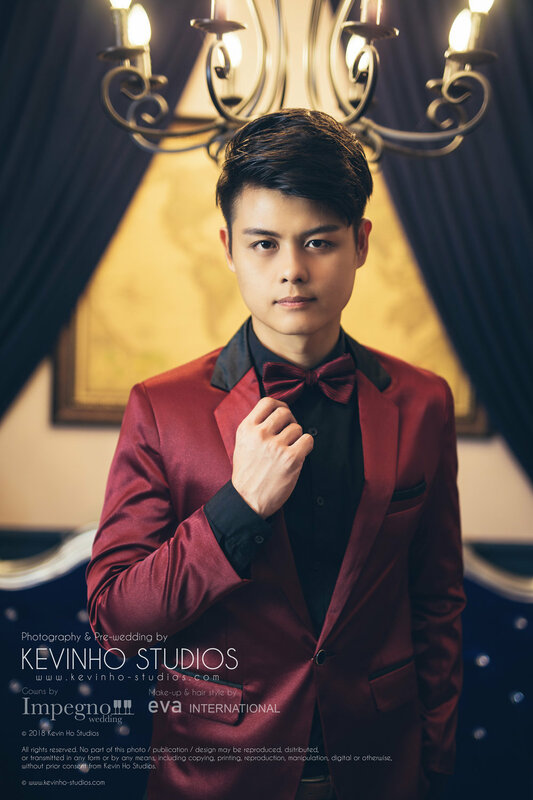 Photo credits: Kevin Ho Studios. 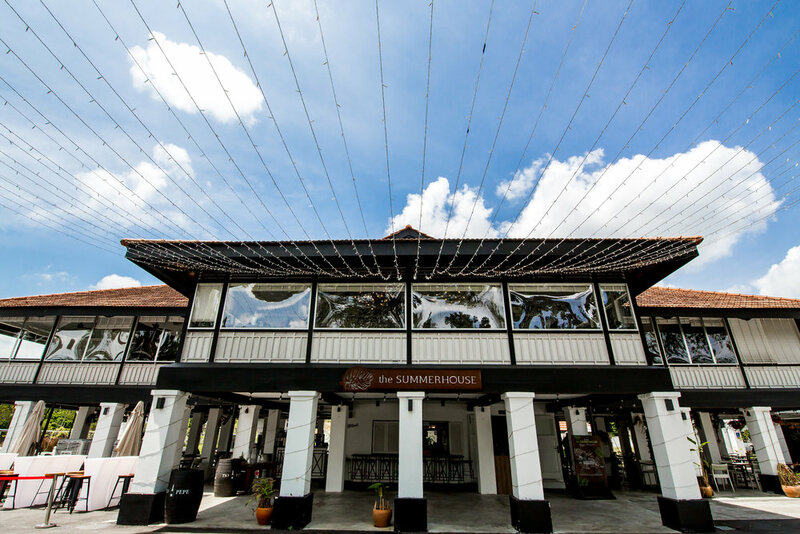 The Summerhouse (http://www.thesummerhouse.sg/, one of the very cool places I've had the chance to cover a wedding at. 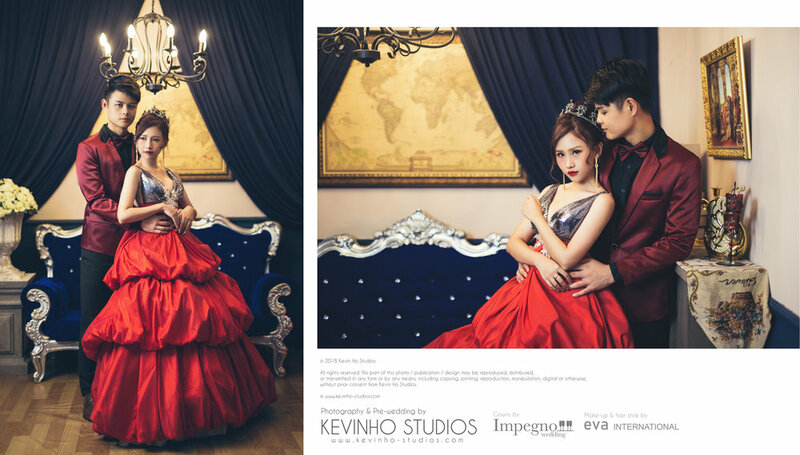 Photo credits: Kevin Ho Studios. Booking your wedding venue should be on the top of your priority list, as your favorite venues have very limited slots, especially if your wedding date of choice is a hot one. Typically couples will book hot dates 1 year or more in advance. For something more lavish, consider hiring a wedding planner to do all the venue planning for you. The same case as above, when you have a hot date for your wedding, chances are your favorite photographer, make up artist & videographer will get booked early. So do check with them early if they are still available. How much budget should you allocate? Actual days are very challenging environments to work with, everything is super fast paced and important moments come and go in the blink of an eye. What's more, you have all your closest family, relatives & friends gathered together in one place. You would want to have beautiful photos & videos to keep as memories. Hire someone with experience. And definitely hire someone whose work you like, not simply somebody who is cheap and having to regret later because you don't like his / her work when you receive them. Make up artists will need to work really fast too. Experienced ones can complete your make up & hair style in less than 2 hours. The quickest one I have worked with completed in 45 mins. Always remember to communicate with your make-up artist on your preferences & styles you like. Letting your make-up artist know that you like lighter Korean style make-up, or heavier styles goes a long way to making your day a smoother happier one. Photobooths are also the norm nowadays, adding something interesting to your banquet and giving everyone some beautifully printed photos to bring back with them. There are 2 types of photobooths on the market, one that comes with a full crew and printing services, and another type that only comes with the booth & deco. You can opt for the full crew so that you can get instant prints to your guests, or you can opt for the booth & deco only type minus the instant prints. For those who had their pre-weddings taken at a bridal house, chances are your gown & suit rentals are packaged with the pre-wedding package itself. For those who don't, you will need to find other gown houses to rent or purchase your actual day gowns & suits. 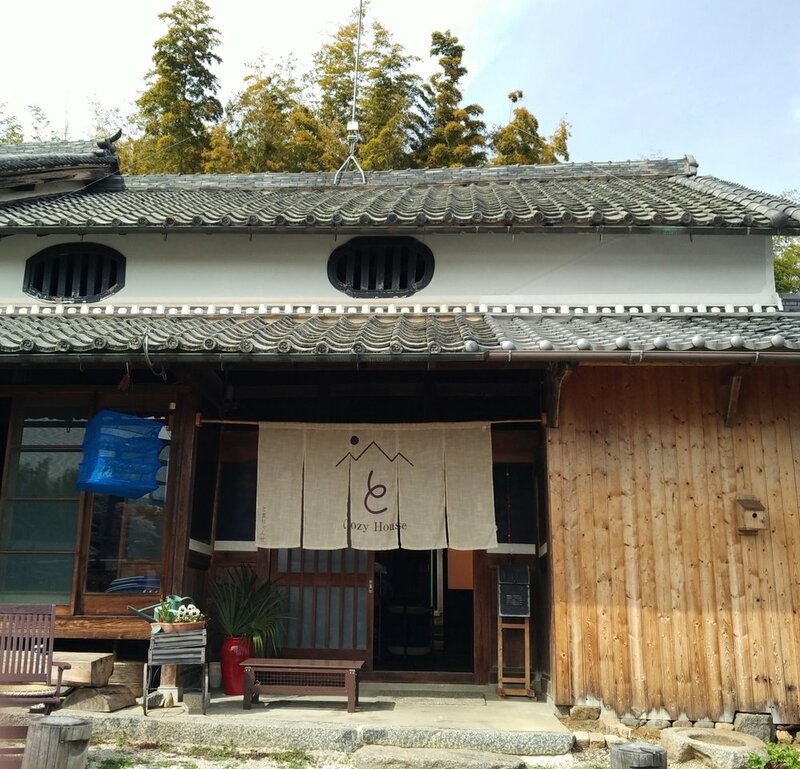 The usual practice is to have one white gown for the morning ceremony, one set of kua for the tea ceremony and 2 sets of gowns for the banquet - 1 set for each march in (you will usually have 2 march ins during the banquet). How many different gowns you need for your big day still comes down to personal preference and budget. I've had brides who go through their whole wedding ceremony in only 1 white wedding gown. You will need bouquets too. And also corsages for your bridesmaids and boutonnieres for family members during the banquet. For me, this was one of my biggest headaches when planning for my own wedding. The problem here is you need to combine lists of multiple different parties (you, your spouse, your parents, your spouse's parents, etc) and arrange them into limited number of tables. Making sure your guests can come or not is also going to take a lot of time & effort, as you will need to text or call each & every one of them to confirm their attendance. Do make sure to ask if they are bringing their whole family along. So there you have it, hope this list helps! Especially to those who are still clueless about their weddings and don't know where to start. Again, this is not a complete checklist for weddings, but probably a good starting point. There are of course still tons of other stuff that you need to take care of for a complete wedding. But take things step by step and you should be fine. Remember that the experience is all that counts, be it good or bad, it will be those memories that you create with your loved ones, family & friends that count.